They even had a Texas Hold'Em tournament! We provide two poker table tops and the lovely Katie Tigerstrom set up the tourney. In addition to poker, there were also roulette and blackjack tables. 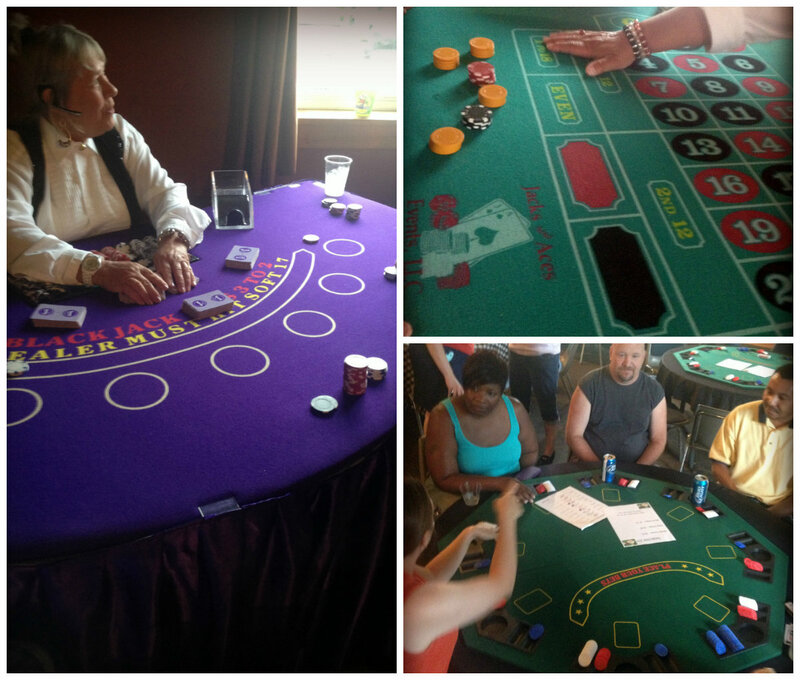 The guests really enjoyed these gaming tables and loved gambling for some big prizes in the air-conditioned banquet barn. 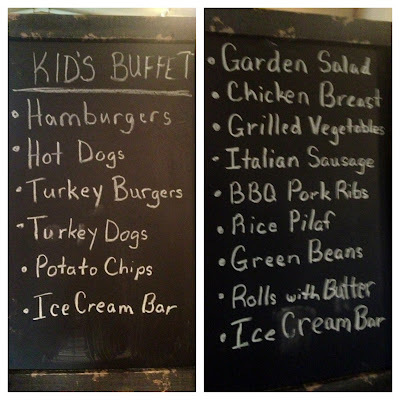 A big thanks to our friends at Jacks and Aces. They never fail to provide us with the best skilled and personable dealers. They are so friendly and are awesome at instructing guests of all ages how to play. 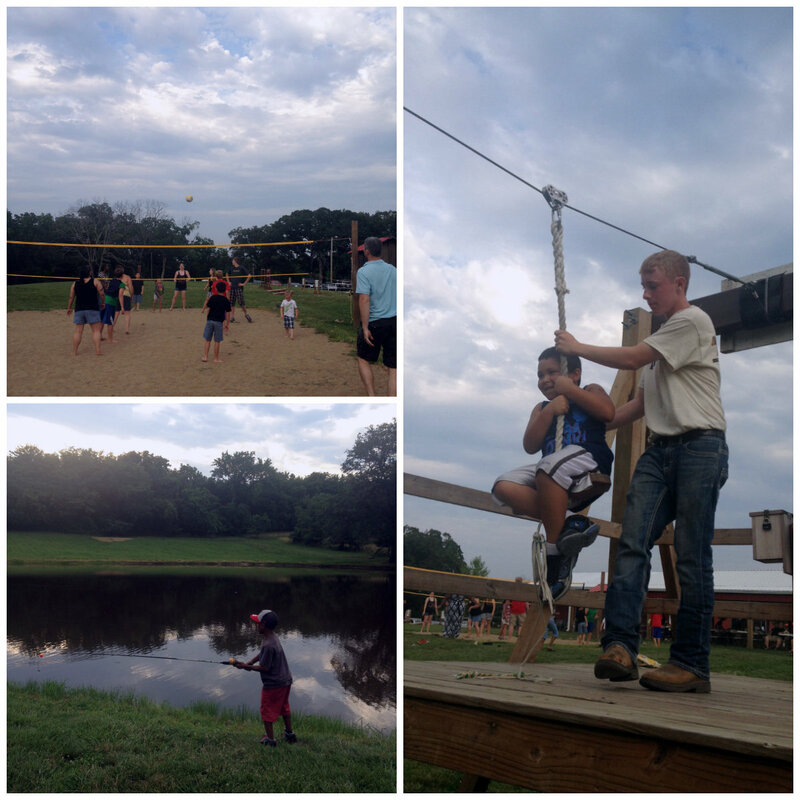 If you weren't chowing down or enjoying some friendly gambling, you could probably be found playing volley-ball, riding the zipline, fishing at our pond, or playing one of the countless games hosted by our "Ranch J." This was such a fun day! 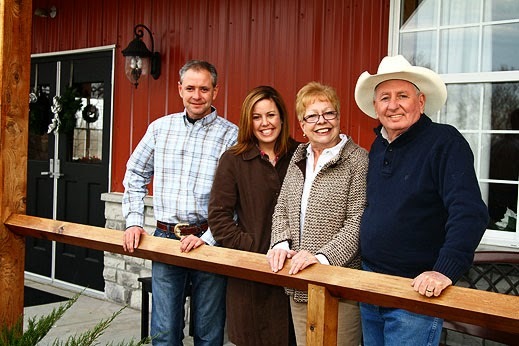 Thanks again to the awesome people at Multi Service for choosing Faulkner's Ranch!